The perfect location, the beautiful gardens and the swimming pool were all highlights. Margaret , in the office was absolutely delightful and very helpful at all times. The location, overlooking the river, was spectacular. The area was very quiet, far removed from traffic noise. We had a 5 night stay . We enjoyed the location not from restaurants and the free river cat . In a nut shell we had a great time until check out day . Check out is at 10am it is mow only 9am to our suprize the cleaner let himself in and said here to clean. We told him we have not checked out yet its not 10am. His rey was how much longer and propped the front door open with his cleaning bucket. We said remove your bucket and closed the door. On check out we reported him to recepttion. We had such a lovely stay until this incident. What a shame. Great location, large apartment, well furnished. Quiet area alongside the river. There are a variety of different apartments here, ranging from absolutely beautiful to average. These are self-catering, serviced apartments and ours was a two-bedroom unit with two full bathrooms. We had a unit facing the river, with a large balcony. The unit has everything you would need for a comfortable stay. 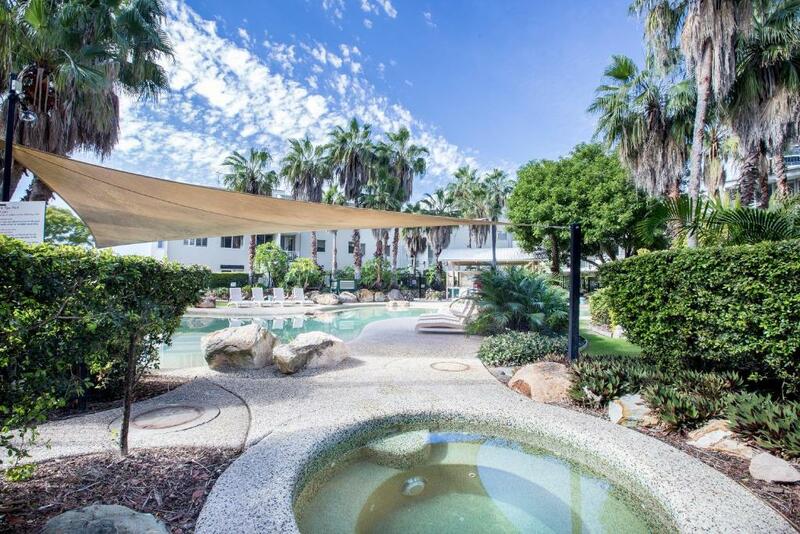 It's also just a short distance from Brisbane city centre but in a quiet location. Within a two minute walk are two convenience store/cafes. There's a full 'bottle shop', a small restaurant and a couple of large restaurants, a spa and a laundry. My wife and I greatly enjoyed our stay there and unhesitatingly recommend Bridgewater Terraces. The location setting and receptionist were terrific. Lock in a great price for Bridgewater Terraces – rated 8.8 by recent guests! Bridgewater Terraces This rating is a reflection of how the property compares to the industry standard when it comes to price, facilities and services available. It's based on a self-evaluation by the property. Use this rating to help choose your stay! One of our top picks in Brisbane.Bridgewater Terraces provides riverfront accommodations just a 5-minute ferry ride from the center of Brisbane. 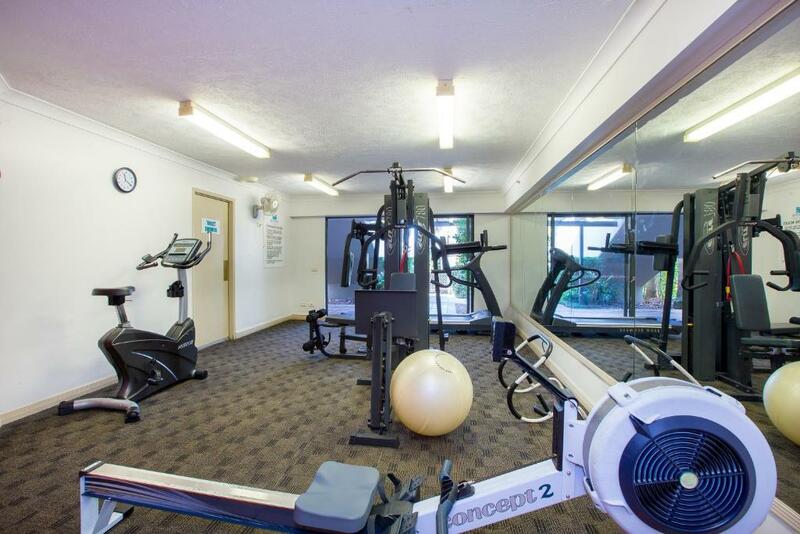 The property features an outdoor pool, a fitness center, a sauna, free parking and BBQ facilities. 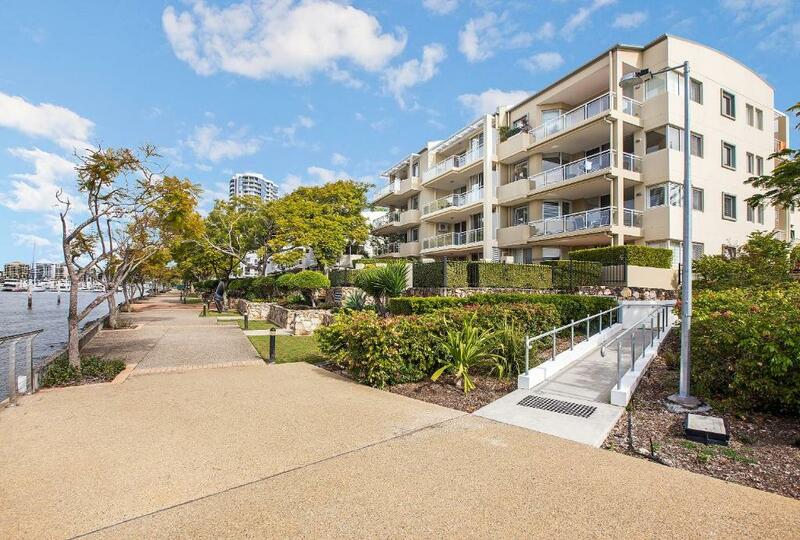 The air-conditioned Bridgewater Apartments each feature a balcony or patio providing beautiful river or garden views. All include a full kitchen and a spacious lounge area with a TV and a DVD player. Guests who would like to explore the area can get advice and make travel arrangements at the tour desk. The hot tub is the perfect place to unwind at the end of the day. Bridgewater Terraces is in Kangaroo Point, a 20-minute drive from Brisbane Airport. Shopping at the Riverside Centre is only a 5-minute drive away. The Gabba (Brisbane Cricket Ground) is also 5 minutes away by car. 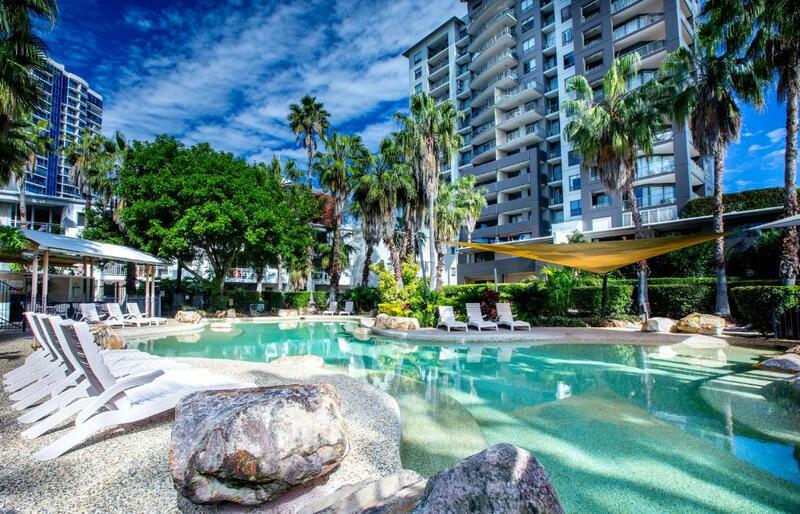 Kangaroo Point is a great choice for travelers interested in family-friendly trips, convenient public transportation and restaurants. 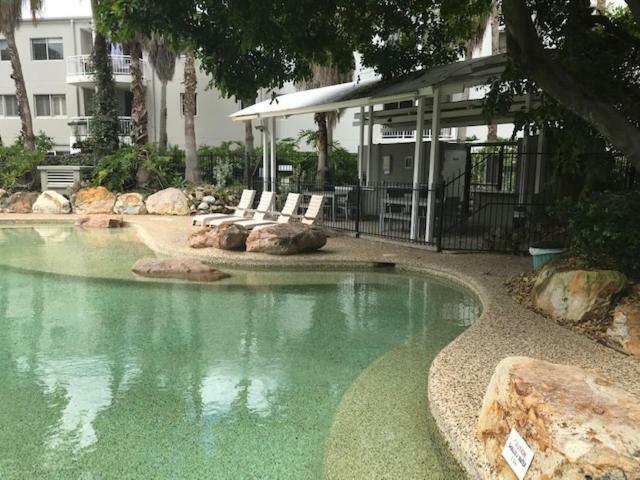 This property also has one of the top-rated locations in Brisbane! Guests are happier about it compared to other properties in the area. 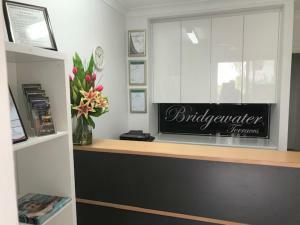 When would you like to stay at Bridgewater Terraces? 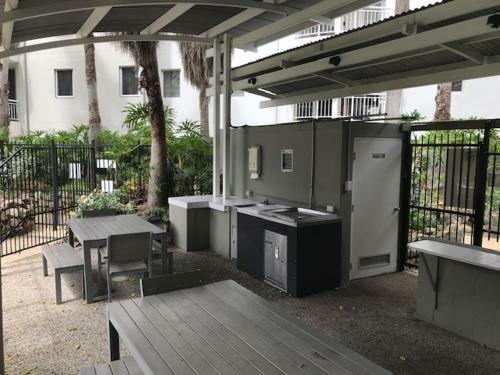 This apartment has a full kitchen, laundry facilities and 2 bathrooms. This spacious apartment is ideal for family stays and has a balcony, full kitchen and 2 bathrooms. This apartment offers a fully equipped kitchen, laundry facilities and 1 bathroom. Bridgewater Terraces is located in Kangaroo Point right on the Brisbane River with views of the City as a backdrop. It is a 5 minute drive to The Gabba. Free ferry ride to the City (City Hopper) which departs every 30 minutes and this is only 500 meters walk away. Set in tropical rainforest resort gardens. Free WiFi and free uncover parking. Area Info – This neighborhood is a great choice for travelers interested in family-friendly trips, convenient public transportation and restaurants – Check location Excellent location – show map Guests loved walking around the neighborhood! House Rules Bridgewater Terraces takes special requests – add in the next step! Bridgewater Terraces accepts these cards and reserves the right to temporarily hold an amount prior to arrival. Please inform Bridgewater Terraces of your expected arrival time in advance. You can use the Special Requests box when booking, or contact the property directly using the contact details in your confirmation. GREAT LOCATION AND CLOSE TO EVERTHING .. Kitchen has bare minimum crockery, utensils etc. No where to park when booking in - parking in Kangaroo Point is a nightmare at the best of times. Reception and entrance to guest parking not even close - one or two streets away. Fantastic location - easy walk to ferry, restaurants and the pub. Units are very quiet and good size. Nice landscaping in the complex - looks and feels welcoming. No river view even though stated in description. Great location with garage parking, spacious appartment, beautiful garden and pool. Easy access to the city center with boat. Staff were really friendly and helpful and the location was great. The apartment was clean and great for our small children, our family loved the pool. Just some hints for improvement..Not enough cleaning products supplied so difficult to keep clean. Soap satches were useless for the dishes and no cloths for the bathrooms. They should be freely provided. The bathrooms need exhaust fans and the hot water service in the laundry needs rubber covers on the brass pipes as they are extremely hot! A few books and games/toys in the cupboard would have been nice. Also the reception is hard to find.. but it is still a lovely place! The apartment is in a lovely part of Brisbane next to the river and was comfortable with a great view. The apartment and garden are well maintained and give the feeling of being in the tropics. It is close to some nice food places and cafes and an easy walk to a playground, sandy beach river area and ferry rides, all accessed along the river path. The pool was great to relax in too. The location of Bridgewater Terrace Apartments for a family holiday for 5 adults and 5 children (all under 5) was a WINNER for us. Proximity to ferries, parks, boardwalks, cafes/pub/great pizza shop and just a short drive to Woolies/Coles was important to us. This centrally based place allowed us as a family to venture off each day to travel all the places/events we wanted to experience. The 'kidlets' enjoyed their many ferry/City Cat rides either using Dockside or Holman St wharves, the fantastic nearby Captain Burke park and looking at the fireworks on NYE from one apartment. Brisbane is a great city for families to enjoy both within the city (parks, museums, art galleries, Southbank, shopping, mall entertainment, ease of catching public transport) and travelling out to tourist places (Redcliffe - a must for any visitor to Brisbane, Australia Zoo, Sunshine or Gold Coast, or visiting suburbs. Bridgewater Terraces are so central to access all of this. The managers of Bridgewater Terraces were a great source of info for us in how to access all the nearby public transport - bus, ferry. I must say that the public transport Brisbane is terrific. The location made this first combined family holiday a really positive experience that was thoroughly enjoyed by adults AND children alike! Tired and in need of sprucing up. Fully priced. Close to city, lovely view, good pool.